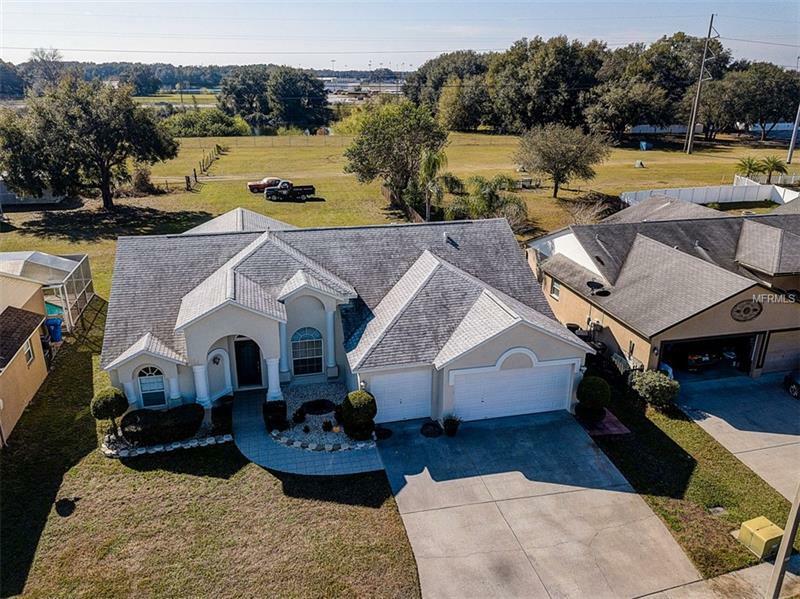 STUNNING 4/2 in HEART OF RIVERVIEW located less than 1/2 mile from Riverview High School! This home features a gorgeous open floorplan with vaulted ceilings throughout the main living area & master suite. The open concept living area is perfect for entertaining! Complete w/formal living & dining room! The kitchen features granite countertops tile backsplash stainless steel appliances reverse osmosis breakfast bar & eat in kitchen area w/beautiful wood plank accent wall. This split plan style home is complete with 4 bedrooms. The master is spacious with large sliders out to the lanai walk-in closet and ensuite bathroom. The master bath has been completely remodeled with gorgeous dual vanity frameless glass shower and separate garden tub. An extra under-air storage room has been built into a portion of the 3rd garage - perfect for a small office temperature controlled storage or a home gym! The garage comes with workbench and shelving for storage. The great room has custom built in shelving is wired for surround sound & has huge glass sliders leading out to an even larger covered screened in patio leading out to a HUGE YARD. This property features an extra parcel located directly behind the property adding another 4356sqft of land giving you plenty of space to PARK YOUR BOAT RV & other toys! Wired for security system of your choice. Plus a NEW ROOF in 2015! New Water Heater 2017! NO CDD and LOW HOA fees! Conveniently located near HWY 301 & 1-75 schools shopping hospitals restaurants.